There is currently no cure for macular degeneration. Macular degeneration treatment options exist that can slow the progress of the disease or improve vision based on the type of macular degeneration you are experiencing. 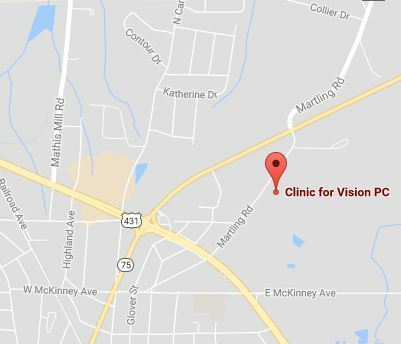 To understand the risks and the limitations of all macular degeneration treatments, speak frankly with your eye doctor. 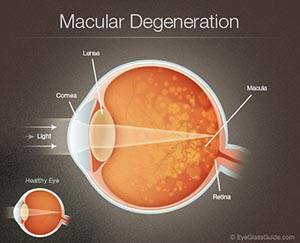 Dry macular degeneration treatment actually begins with routine eye exams, especially after age 60. The goal here is to catch the development of ARMD early. If detected, you may be prescribed a specific mix of high-dose zinc and antioxidants that have shown an ability to slow the progression of the disease. Wet macular degeneration treatment can include a number of options; including laser surgery, light-activated dyes that are injected into the circulatory system, or drugs injected directly into the eye that inhibit the growth of abnormal blood vessels that cause the wet form of the disease. With any macular degeneration treatment, there are no guarantees that the disease can be stopped, no promises that a treatment won't need to be repeated, and a sobering reminder that vision, once lost, is rarely restored. Take the Macular Degeneration Test using the Amsler Grid allows you to conduct a self-test to detect any visual impairments that may be caused by Macular Degeneration.